As District Director, Nathan will lead the Gateway District of Three Harbors Council. He will be the Staff Advisor for several council events and activities including Scouting for Food. Nathan will serve as the Staff Advisor for the Order of the Arrow Lodge. 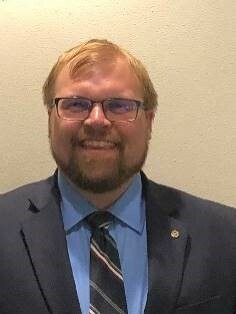 Nathan previously served as Senior District Executive in Iron Horse District, Heart of America Council in Kansas City. His district served almost 2,900 Scouts and 1,500 leaders in Western Johnson County Kansas. In addition to his district responsibilities, Nathan has served as the Council Staff Advisor for Venturing, Order of the Arrow, International Scouting Committee, as well as currently serving as the Order of the Arrow Section C5B staff adviser. Prior to joining the Heart of America Council, Nathan served in the Osage Hills District for the Ozark Trails Council in Southern Missouri. Before becoming a commissioned Professional Scouter, Nathan served on Great Rivers Council Camp Staff for seven summers including two as the Camp Program Director. Nathan also worked as a Scoutreach coordinator for the Council in Columbia, Missouri. Nathan is an Eagle Scout, Vigil Honor, and Venturing Silver recipient. Nathan is a graduate of the University of Missouri with a dual degree in History, and Secondary Social Studies Education. His hobbies include pickleball, watching movies, traveling and exploring new places. Nathan’s wife, Marisol, is pursuing a Master’s degree in Elementary Education.